When you think of yoga teachers, you tend to think of completely Zen people who exist on avocado and bliss and only ever feel massive amounts of love and tenderness toward their students. Sometimes that is true. But, as a newly minted yoga teacher who has spent the past seven months subbing and talking to yoga teachers and friends, I can assure everyone that it is not all meditation and roses. Sure, we tend to be a centered bunch who enjoy physical and mental challenges, but that doesn’t mean we never get annoyed. And although we love the majority of our students, there are some things that some students do that interrupt the flow of class and generally make things difficult for everyone else. 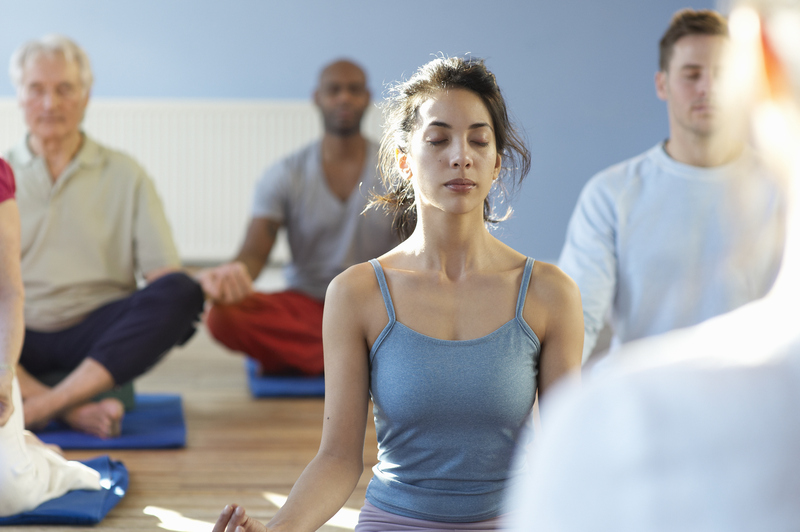 With that in mind, here are the seven things students do that frustrate your yoga teacher. This is the most annoying thing that a student can do. It puts the teacher in the position of either disrupting everyone else or turning someone away. My favorite yoga studio simply locks the door at the start of class. More studios should try this. Sometimes class gets crowded. Some of us like that better than others. Either way, you only have the right to the space on your mat. No more. No less. If someone needs space, scooch on over. Anything less is rude and entitled. Yoga is supposed to be fun, and taking it lightly is a great idea. But it’s also a sacred space where each person focuses on themselves and their journey. It’s not brunch with friends. I have been in classes where some students laugh and joke all the way through, and it is very distracting and very rude, not just to the teacher but also to everyone else in the class. We get it. You are awesome at asana. Wow, we are impressed. But when you are in a mixed-level class, it can be very distracting (and dangerous) to yourself and to the others around you when the teacher is calling out down dog and you are in fallen angel. There is a time for following the motion of your ocean and for doing what feels right, but if you are an advanced yogi or someone who prefers to practice to your own drum, then perhaps home practice is a better choice. Most yoga teachers will voluntarily help put away the blocks and straps and mats. It’s part of the job. But I have seen students leave behind empty water bottles, used sweat towels and all of their props so they can book it out of class. It’s just inconsiderate. Everyone needs to clean up after themselves and fold blankets and put them away neatly. Props, such as blocks and straps and blankets, are not a sign of defeat or of a less-than asana practice. They bring the floor closer. They can greatly improve your practice. There is no shame at all in having to (or wanting to) use them. So please do. They are there so we can all benefit. Don’t be afraid. When the teacher asks at the beginning of class who has had any injuries or recent surgeries or pain, she’s serious. She can change or morph the class according to your needs. But if you don’t tell her, she can’t know. Pipe up! It’s your class, and your teacher needs to know.